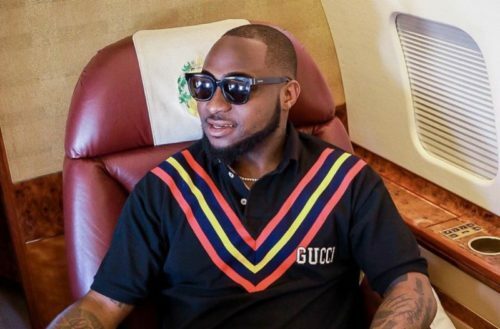 Nigerian pop superstar Davido had a funny way of taking a swipe at popular controversial journalist Kemi Olunloyo. For the past weeks weeks the DMW boss has been under intense unraveling by the head of HNN Africa. In the past days Kemi has been running a documentary in an attempt to reveal Davido’s secrets or untold family past. One famous allegation is denying paternity of his ‘daughter’ Anu. In an interview in London the ‘Assurance’ singer was asked if he knows who Kemi Olunloyo is and he vehemently denied having any knowledge of her. The pop superstar is in London where he is preparing for his headline show at the London O2 Arena on January 27th. Watch the following clip below.